I think some people are meant to hear more than to see. Sometimes a blessing, sometimes a curse, I hear things. While listening to old time radio shows the past few years what I was hearing seemed at first just too improbable to be true. Could a big shot Hollywood writer/director/producer really be pining away for the farmlands and salt marshes of southern New Jersey? Was he really writing his love for New Jersey peaches into his scripts? Can you spend the morning giving direction to Jimmy Stuart, then write the following words to describe one of your radio characters traveling from Philadelphia into south Jersey? I crossed the Delaware River Bridge and finally picked up Route 47 for the 35-mile drive down to Vineland. Flat country this, with plenty of beautiful trees and rich farmland, and occasional cranberry bogs. The soft smell of ripening peaches greeted me from the vast orchards I passed. It was all very pleasant. That sounds a bit like nostalgia to me; as I said, I hear things. Next you coach Marilyn Monroe through her first radio performance and go back to your office to write a story set in Ong’s Hat, New Jersey? Ong’s Hat? For those who didn’t grow up in the southern half of the Garden State, Ong’s Hat is a sort of inside joke around the insular pine barrens country. A real place, sure, but who could believe it? Could this Hollywood bigwig, a man named Jack Johnstone, be just a south Jersey farmboy who grew sweet potatoes and picked peaches? Born there, perhaps? Grew up on the farm before finding his way to Hollywood? I decided I had to find out. Turns out, that wasn’t so easy to do. In many ways, Jack Johnstone is a public enigma. Before long I felt like a detective in one of those old mystery dramas. Where was Johnny Dollar when I needed him? The basic Internet search doesn’t tell you much about Jack Johnstone. He shows up in New York City writing, directing and producing for some of the first radio dramas – Buck Rogers in the 25th Century, for instance as early as 1932. He wrote scripts for and helped develop the original The Adventures of Superman radio program. By 1950. Johnstone is directing Hollywood Star Playhouse – introducing Marilyn Monroe to radio drama and moving Jimmy Stuart into a new and different style of thoughtful western, The Six Shooter. While that show lasted only one year I suspect it may have been inspired by the tremendously popular, Gunsmoke. In 1950, Johnstone was the director and narrator of a show any viewer of television’s America’s Most Wanted would recognize today. Called Somebody Knows, the show recounted details of unsolved murders and offered a $5000 reward to the person who could came forward with the information that would convict the killer. 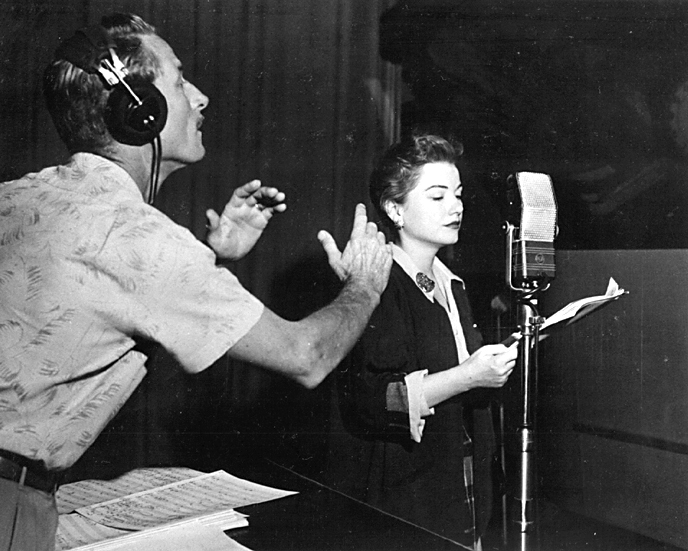 Jack Johnstone directing Anne Baxter, presumably in the 1950s. Origin of this photo is unknown, it may have come from Jack. It may be in the public domain or it may have a copyright owner. If anyone knows, please let me know. I first encounter Jack Johnstone listening to the Yours Truly, Johnny Dollar radio program. He takes over as show producer in 1955. As a radio veteran he writes, directs and produces most of the episodes. I’ve been listening to these recordings for 30 years. Recently however, as I listen I keep hearing the Philadelphia and southern New Jersey area showing up. I grew up in south Jersey, and I know these places. I know Route 47. I know the towns of Vineland, Millville, Woodbine, Malaga, Fortescue, Pemberton, and yes even Ong’s Hat. Those, and more, are settings developed by Johnstone in his scripts. So I determined to find out who this Jack Johnstone fellow really was. An inventive mind. 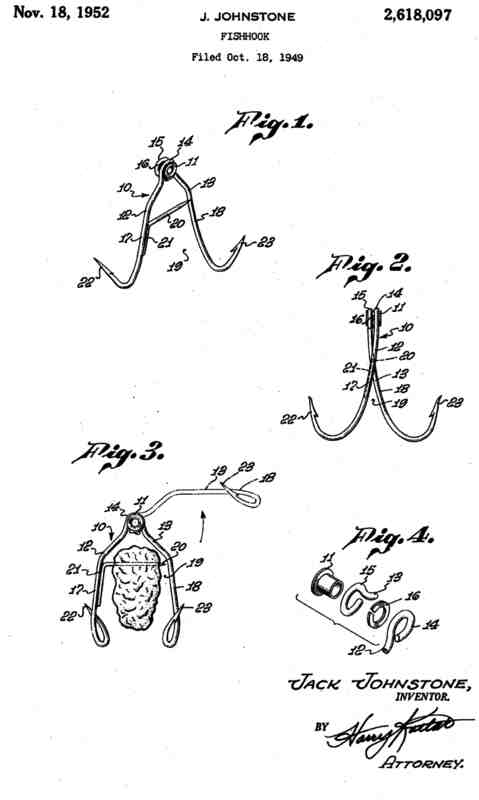 Jack Johnstone, an enthusiastic fisherman, invented and patented a fish hook around 1950. Click to enlarge. It didn’t take long to find out he was born in 1906, and he died in 1991 in Santa Barbara, California. But where was he born? What did he do between 1906 and his emergence as a radio drama pioneer producer? Also, after the Johnny Dollar show ended in September, 1962, Johnstone disappears. For the next 29 years, until his obituary appears in 1991, he’s the invisible man. Well, invisible to me anyway. While it looked like a dead end, I knew Johnny Dollar would never give up on this one. Born in Vineland NJ, briefly attended Rutgers but dropped out and worked in the mental health field before entering radio circa 1931 (some sources say 1932). Had originally planned to be a journalist, but ended up free-lancing for radio, doing commercials and then got involved with the “Buck Rogers” series, and became a full-time radio producer and writer. Married to a woman named Anne (Schumann), 2 kids (Toni and Bonnie). In 1950, he and his family were living in Westwood Calif. (All of this comes from the Trenton (NJ) Evening Times, 7 May 1950, p. 15). I scoured newspapers from all sorts of databases– very little about his personal life, but I hope this at least gives you a lead or two. So, the improbable was true. The big-time radio guy producing some of radio’s best drama was born and raised among the peach orchards and farm fields of south Jersey. But there was a lot more to know about this public enigma, and I had a big surprise in store. 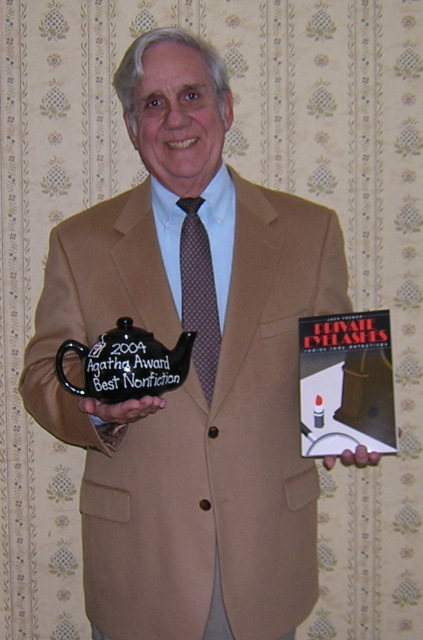 Jack French with the 2005 Agatha Award he won for best non-fiction book, Private Eyelashes. Jack Johnstone, whose career in radio reached from the simplistic broadcasts of “Buck Rogers in the Twenty-Fifth Century” during the 1930s, to the sardonic sophistication of “Yours Truly Johnny Dollar,” the last of the big-time network melodramas in the 1950s, is dead. His daughter, Bonnie, said Sunday that her father was 85 when he died on Nov. 16 in Santa Barbara of cancer. Johnstone, who wrote, produced, directed and occasionally acted in or narrated hundreds of shows of the “medium of the mind” over three decades, was known as an innovator who brought film stars to radio. When he first began hiring them for such shows as “Hollywood Star Playhouse” or “Hollywood Startime” in the 1940s, he could offer such stars as Barbara Stanwyck and James Stewart $5,000 or more per week. But with the advent of TV, he told The Times in 1952, the pay was down to $1,000 a week, a minute portion of what they could earn in pictures. In addition to adapting such comic-strip story lines as “The Adventures of Superman” to the airwaves, Johnstone participated in some of radio’s most inventive programs. He was one of the producers and/or directors of “The CBS Radio Workshop,” which dramatized the works of Ray Bradbury and “interviewed” William Shakespeare. 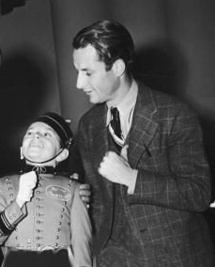 He brought Stewart to radio in “The Six Shooter,” directed and narrated “Somebody Knows,” in which listeners were offered a $5,000 reward if they could help find an actual murder suspect, and became a director of “The Prudential Family Hour,” when it evolved from a musical to a dramatic series in the late 1940s. “Johnny Dollar,” the “insurance investigator with the action-packed expense account,” went off the air on Sept. 30, 1962, marking what proved to be the end of the major network programs. Rather than venture into television, Johnstone retired. In addition to his daughter, Bonnie, he is survived by a second daughter, Tony. Donations in his name are asked to the Santa Barbara Chapter of Recordings for the Blind. For nearly 50 years, the force that propelled The Training School of Vineland to international renown was Professor Edward R. Johnstone. Only 28 when he came to town in 1898 as the assistant superintendent of the school for developmentally disabled children, Johnstone took over as superintendent two years later when the school’s founder, the Rev. S. Olin Garrison, died. The school had been founded in 1887 on the principle that every child deserves to develop to the limits of his ability in an environment where he feels comfortable and is happy. At the time, the idea was radical to a society that out of fear and misunderstanding often kept its mentally retarded behind locked doors. “Happiness first, and all else follows” was the banner Johnstone inherited and carried throughout his long and distinguished tenure. Fueled by the psychological research lab Johnstone started in 1906, the school set new standards in teacher training, intelligence testing and training programs for developmentally disabled people. Research conducted at the school furthered the world’s understanding of learning, maturation, and intelligence. With the 1913 opening of the 1,300-acre Menantico Unit some four miles from the school’s Main and Landis campus, with a new training ground and a place to work. Farmers in the region benefited from the many experts who demonstrated state-of-the-art techniques in poultry and dairy farming, peach orchards, and irrigation. 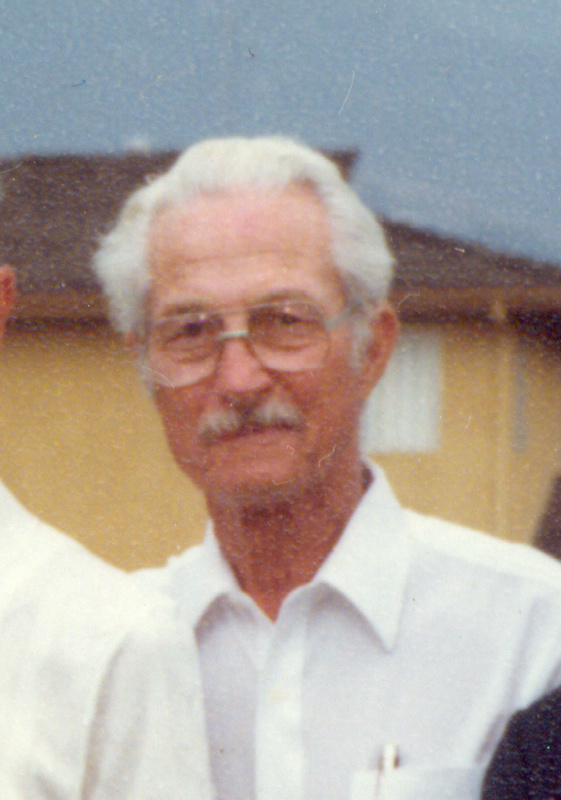 A year after he retired in 1945, “Uncle Ed,” as he was known to Vinelanders, died. The Training School published a tribute to Johnstone shortly after his death. Colleagues wrote about his close relationship to the children and adults living at the training school, and how he often read stories to them and knew each by name. He didn’t live to see the state honor him in 1955 with the Edward R. Johnstone Training and Research Center in Bordentown, or the town he adopted name its then-newest elementary school after him in 1957. But his legacy continues in the work of the 115-year-old school he sculpted during the first half of the century. © Copyright 2011 Cumberland County, New Jersey. All Rights Reserved. 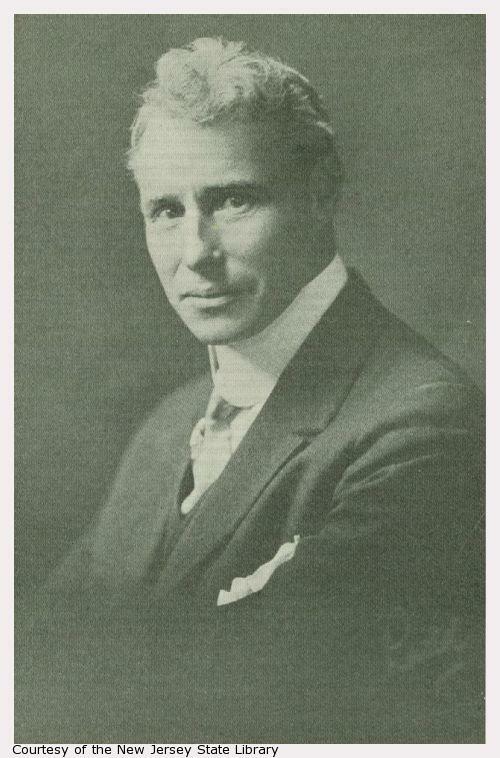 Edward R. Johnstone, Jack's father and world-renowned advocate for the developmentally disabled. So, turns out Jack was famous (or as famous as radio producers can be) and his father also was famous. Yet in 1962, at age 56, Jack Johnstone simply walks away and “retires.” This man with so much talent and energy, known and respected in the entertainment world, a man who could have easily worked in television or film, this grand success story from south Jersey, he rides off into the sunset. I had learned that Jack was an enthusiastic fisherman, but nobody can spend all his time fishing. For the next 29 years, until his death notice in 1991, there is nothing public or published about Jack Johnstone. For me, this was the next improbable mystery. How, and why, could Jack Johnstone vanish like the aroma of a warm apple pie in cold deep space? From a public standpoint, his life was a dark void. I had a “hunch” there was a lot more to the story. That’s when I called on Johnny Dollar – or at least the world’s leading authority on Johnny Dollar. John Abbott has created an extraordinary three-volume work on the Yours Truly, Johnny Dollar radio program. The “Who Is Johnny Dollar?” Matter researches every script ever written for the program. It can tell you every girlfriend, every hotel used, every bad guy “tagged,” and every dollar spent and recovered on behalf of clients. As for Jack Johnstone, program producer from 1955 to 1962, there is nothing after 1962. However, again like a good detective, Abbott has confidential informants. He contacted some and a picture has now begun to emerge. My own sense is that Jack wanted to live quietly and anonymously, and he seems to have accomplished that. After Johnny Dollar, Jack Johnstone was tempted by offers from television, no surprise there. But he is said to have thought television was a dirty and nasty business and he wanted nothing to do with it. Until 1974 when he located to Santa Barbara, his movements are a mystery to me. The pleasant seaside town of Santa Barbara would have provided him a 100-mile buffer from the Hollywood madness and yet still have been close enough to stay in touch with friends there. I’ve recently driven between Santa Barbara and Los Angeles, and as far as I can tell it’s now just one great megalopolis. His 46-year marriage to Anna ended in divorce in 1977. From there Jack apparently spent the rest of his life living quietly in the Rancho Santa Barbara Mobile Home Park a couple of miles from the ocean. This is a park built in the early 1960s by TV and film star Fess Parker. That show business connection may have led Jack to this spot. Undated image of Jack Johnstone in Santa Barbara.. Courtesy of the MacKenzie Park Lawn Bowls Club, Santa Barbara, CA. One of Abbott’s informants sent word that the Santa Barbara Jack Johnstone had been involved in organized lawn bowling. A little research on my own turned him up in the MacKenzie Park Lawn Bowls Club. Not only was he a member for many years, he assumed the presidency one year near the end of his life. So, my “hunch” was right; you can’t keep a good man down. He may have walked away from entertainment, but he rose to the top of the political end of the lawn bowling club where he socialized! I spoke with Ray Stone who created a history book for the MacKenzie Park Club. Jack has been gone 20 years now, and there seems to be no one there who remembers him. (Although I’m not familiar with the lawn bowling world, it seems to attract a mature clientele.) I spoke with one man who remembers Jack by name but not much else, and I’m guessing that’s the common refrain among anyone old enough to have been there when Jack was. Stone gave me a couple of pictures from the club scrapbook; he says they are both labeled as Jack Johnstone in the 1980s, but they appear different enough that we can’t be sure. If anyone recognizes him, please tell me. For me, one of the most intriguing tidbits from Abbott informants was that Jack Johnstone spent time making audio recordings for the blind. That explains his obituary request for donations to the Recordings for the Blind organization in Santa Barbara. A man who had spent over 30 years creating images for the mind through radio continued to provide those images in a much more intimate way. As I said, I think there are people who are meant to hear more than see. Maybe Jack was one of us. The post-1962 Jack Johnstone picture is developing, but it has a long way to go. I plan to keep cultivating confidential informants and anyone else who has information. So, if you know anything, I’m going to keep working on this. Jack Johnstone left quite a legacy in entertainment, and I believe he deserves recognition. For those of us with ears to hear, he has a reserved spot in our hearts. Jack’s sister Carol Johnstone Sharp, is my mother’s mother. I’m sure my mother, Olive Jeanne Sharp (Hart) could help fill in the ’62-’74 gap with some greater understanding of Jack’s activities. She lives in Laconia, NH. I’d better fyi her before I give out her phone number, as surprises like this can tax an 83 yr old!! Actually I see my Dad’s responded to an email (my wife found this) and cc’d Jack’s daughter Bonnie, so she may contact you – she’s the best source for ‘the rest of the story’. Keep up the good work…more people care than you would think. Great Work! Thank you for your hard work in digging this info up. Very interesting. Do you know if William W. Johnstone (GraphicAudio) is related? Jack was a great author who wrote many stories…his work could be found in many mystery magazines. He use tons of different pen names, one was g Stanley porter. Also his brother was named Doug and acter in a few eps of ytjd under his names Doug Johnstone. My husband and I were listening to “Johnny Dollar” on XM and were enthralled by the “visual aspects” of the radio stories. I guess we are getting old enough to wish it was the main avenue of entertainment, rather than the ipods, the smartphones and all of mind numbing info and after reading this…yes, Mr. Johnstown was right, TV is a “dirty and nasty” business. Just wanted to let you know how much I enjoyed your article. Thank you for posting your hard work illuminating this mystery. Of course Johnstone and his contemporaries are only a mystery to us now because they chose a normal, private life. Pre Google. I came across this article because I’m fascinated with the mystery of Bob Bailey. He just walked away and disappeared until his death 23 years later. Johnstone and Bailey were a powerful combination. Again, thank you for your work. Thanks for the article. I am old enough to remember radio shows, Gunsmoke and Dragnet and Arthur Godfrey. Then came tv and radio was forgotten, that is until I started listening to Sirus radio. Johnny Dollar quickly became my favorite. Bob Bailey being the best Johnny Dollar if you ask me. My favorite episode to this point has been the 5 part show Cui Bono. I always look forward to Johnny Dollar on Sirius radio..as for the locale’s, I’ve noticed my area of Long Island pop up on several occasions…of course I’ve always been unsure of who wrote those particular episodes, for lack of paying attention until it was too late .I’ve always assumed it to be Jack Johnstone and am glad to have found some information pertaining to him.seems possible, being from Jersey, he had some exposure to Long Island..I’ll be darned though, he sure did pick some obscure places for a storyline to take place in some of those towns, especially considering that back in the 40’s and 50’s, those eastern island towns were small and for the most part, just farming country.if anyone has any more info regarding the Long Island settings, I’d love to hear it..thanks…hope they keep replaying all of the episodes….I really can’t get enough of them..better than 99% of the programs on TV today. I’m not aware of Jack having any linkage to those towns out on Long Island, but I’m sure he spent time out there since he lived in New York City for so many years. I’m a journalist wondering if anyone knows this: is Jack the guy who turned Lloyd London, private detective, into Johnny Dollar, fabulous freelance insurance investigator. Anybody know who and why? Jack Johnstone was a good friend of my grandparents, Eugene and Mildred Andrews, who lived in Westwood in the sixties and early seventies. They played a lot of bridge together, as I recall. Of course, they’re gone now, but I remember them mentioning him frequently, and I may have met him once or twice. Thanks, Tony. I’m forwarding your message to Jack’s daughter, Bonnie. She will be very touched that her father’s work lingers in your heart. I grew up in Vineland, NJ. I listen to Yours Truly Johnny Dollar almost every evening. I love Jack Johnstone’s references to his hometown, Vineland. Pretty exact descriptions and references. A nice nod to where he grew up. There is a school in town named after his father.